On the banks of the Maeklong River in Western Thailand, Thai Gold Soy Sauces are naturally fermented in clay pots using rice flour, sea salt and soy beans. Our partner, proud of their family tradition, uses the same technique and special culture passed down through generations. We are delighted to bring to your kitchen the excellence in flavour they create. 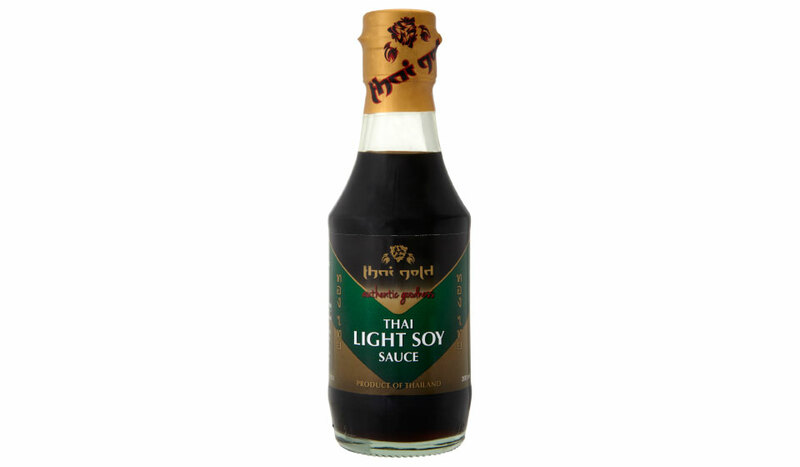 Thai Gold Light Soy Sauce is premium brewed using a special Thai process that results in this wonderful gluten free sauce. Tip: Use light soy sauce as a vegetarian substitute for fish sauce. Water, Soy Beans (9%), Brine, Rice Flour, Sugar.